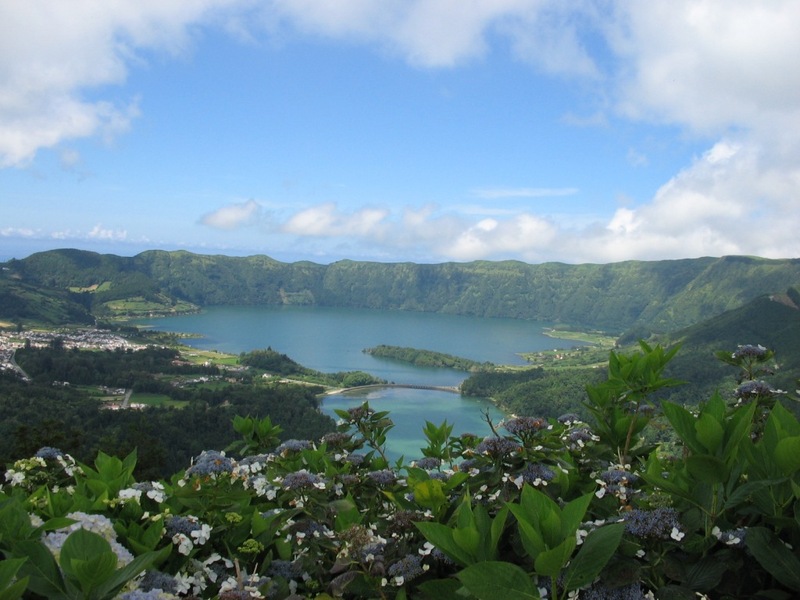 The Azores archipelago is a Portuguese autonomous region composed by nine islands, several islets and the surrounding seafloor, located in the Atlantic Ocean, between 36º and 41º North Latitude and 24º and 33º West Longitude. 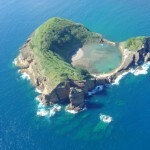 It has an administrative area of 2324 sq. 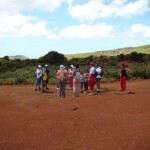 km of land surface and 938000 sq. 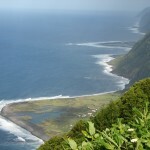 km of marine area. The archipelago is characterized by the reduced dimension of the islands (between 17 and 745 sq. km), by its dispersion (distributed along a WNW-ESE narrow band approximately 600 km long) and for its distance from the European and American continents (at distances of 1815 km from mainland Portugal and 2625 km from Canada, respectively). 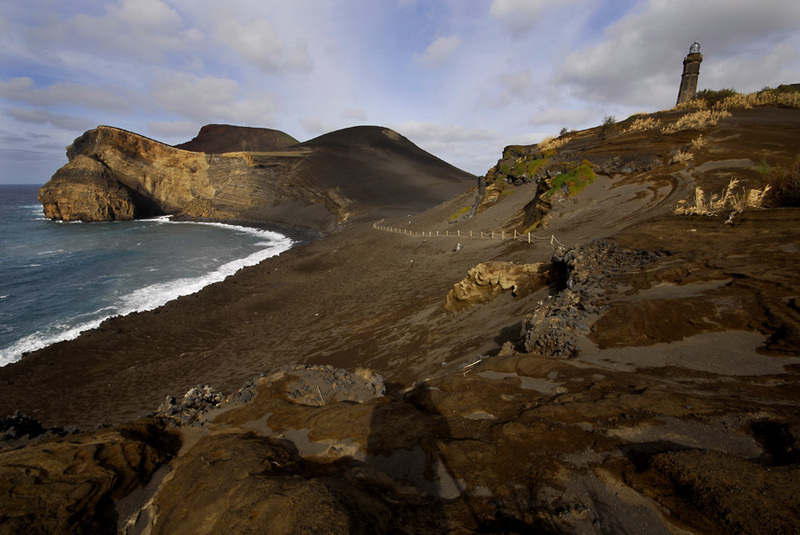 The islands are divided in three groups: the Western Group (Flores and Corvo islands), the Central Group (Terceira, Graciosa, São Jorge, Pico and Faial islands) and the Eastern Group (São Miguel and Santa Maria islands and the Formigas islets). 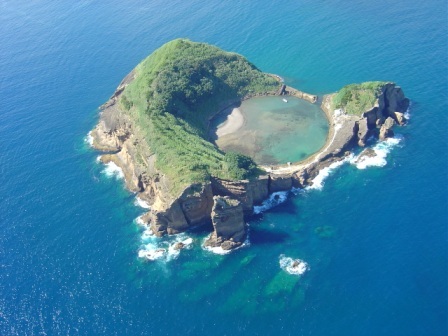 The archipelago has 19 municipalities and 156 parishes with a population of 246772 inhabitants. 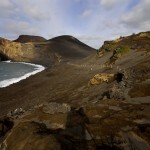 Despite the small size of the Azorean territory, the islands have a wide range of landscapes, forms and structures derived namely from the types of eruption, its dynamics and the subsequent actions of weathering and erosion. 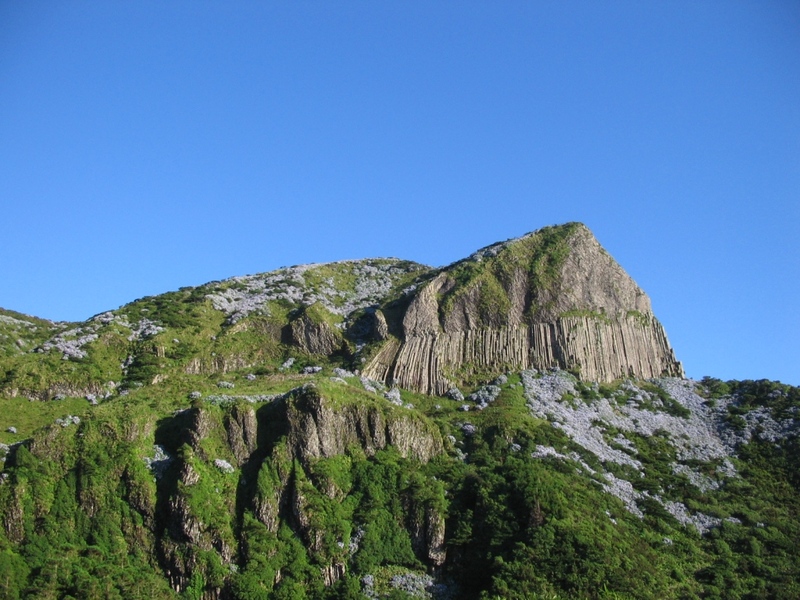 Its peculiar geotectonic framework, at the triple junction of the North American, Eurasian and African tectonic plates, also contributes to such diversity. 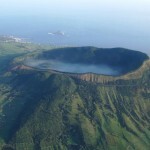 The Azores archipelago has a rich and vast geodiversity, and an important geological heritage composed by several sites of scientific, educational and touristic interests. 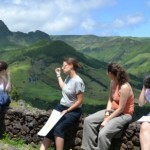 Given the insular nature of the region, the Azores Geopark is supported on a network of geosites dispersed by the nine islands and the surrounding seafloor, i) that ensures the representativeness of the geodiversity that characterizes the Azorean territory, ii) that reflects its geological and eruptive histories of about 10 million years, iii) with common conservation and promotion strategies, and iv) based on a decentralized management structure with support in all the islands. 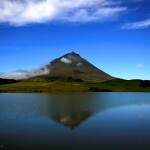 The Azores Geopark is based on a network of 121 geosites in all the 9 islands and surrounding sea floor, most of them with international or national relevance. 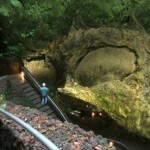 The geopark area is 12884 sq. 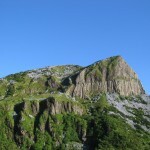 km, including the 2324 sq. 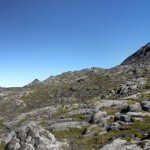 km of the emerged territory. 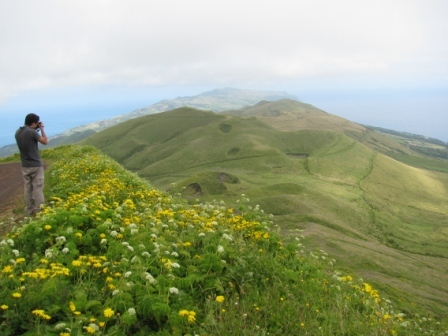 Among those geosites, 57 were selected as priority for the development of geoconservation strategies and for the implementation of valorization actions at the aim of the Azores Geopark. 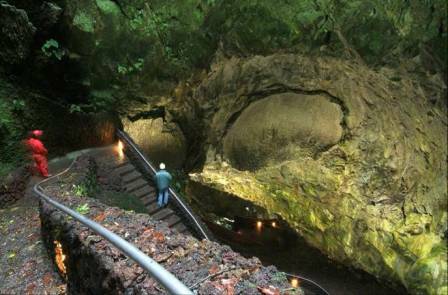 Volcanoes, calderas, lakes, lava fields, fumaroles, hot springs and thermal waters, volcanic caves, “fajãs”, fault scarps and marine fossil deposits, among many others, are characteristic elements of the Azorean geological heritage. 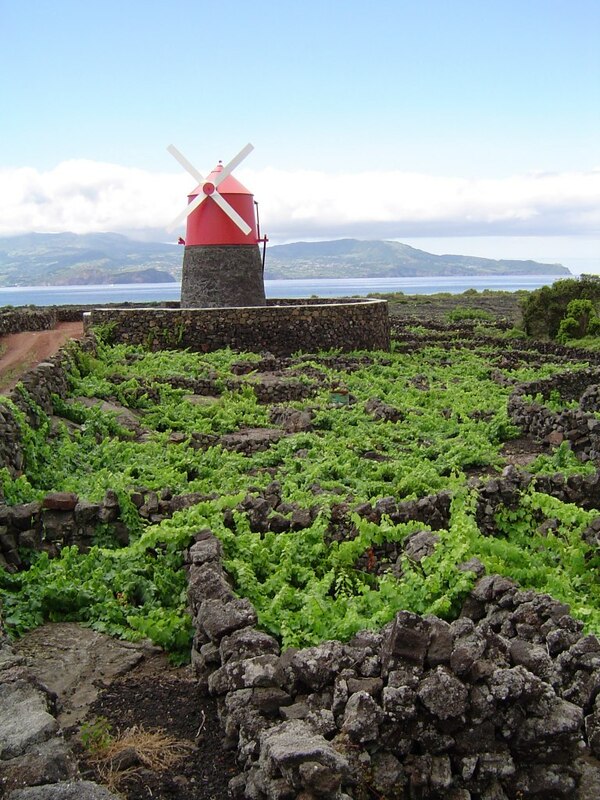 There are other values of reference in the archipelago, such as its rich biodiversity and the architectural, cultural, ethnographic and an immaterial heritage of undeniable value. 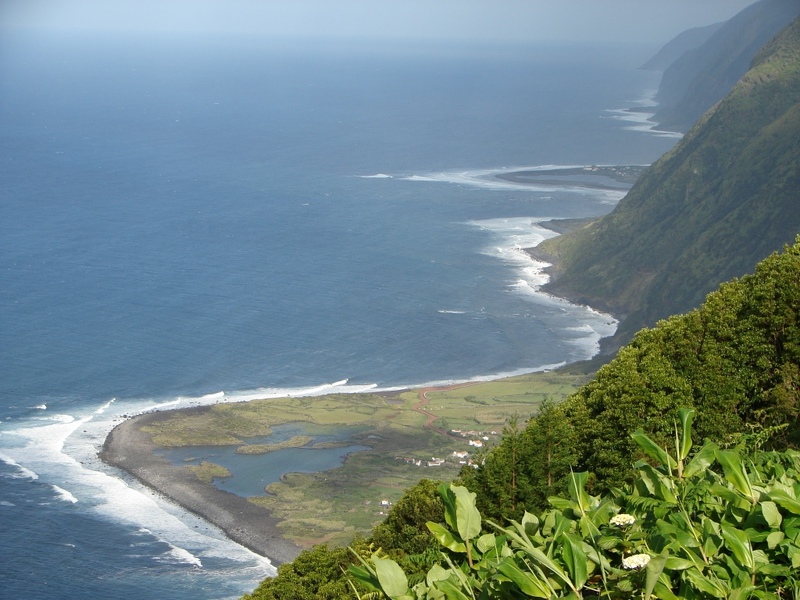 The Azores archipelago belongs to the Macaronesia, a biogeographic region that includes the archipelago of Madeira, Canaries and Cape Verde. 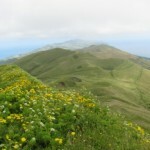 This is one of the richest areas of biodiversity in Europe, supporting a significant number of endemic species of flora in the different islands. 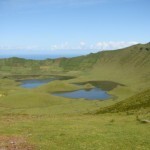 Among the fauna of the Azores it is worth mentioning the several marine species such as turtles and sperm whales, numerous species of birdlife (e.g. 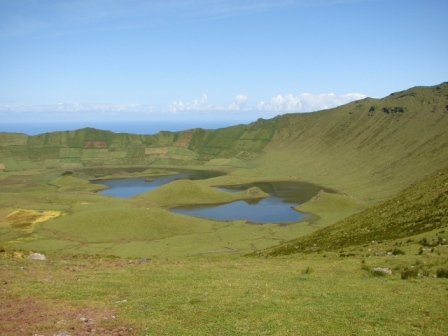 the common buzzard and cory´s shearwater), as well as some terrestrial animals, being the bat of the Azores the only endemic mammal of the islands. 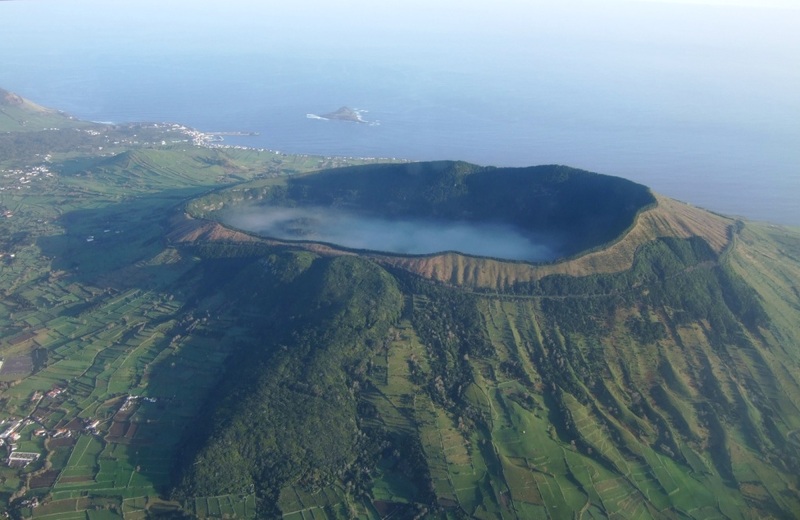 The Azores islands climate is directly influenced by the Azores Anticyclone, whose position, intensity, development and orientation influence the climatic conditions not only in the Azorean territory but also elsewhere in Europe. Thus, high levels of humidity, thermal amenity, slightly elevated insolation rates, regular and abundant rainfall and a regime of vigorous winter winds are key aspects of the Azores. 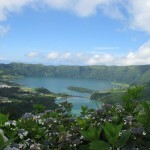 The Azorean culture, ethnography and architecture are strongly influenced by the geology of the islands. 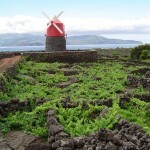 Since the settlement (in the fifteenth century), the Azorean people learned to live with its volcanoes and earthquakes, taking advantage of its fertile soils (e.g. 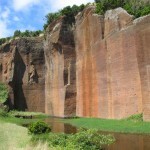 winery landscapes), their geological resources (e.g. 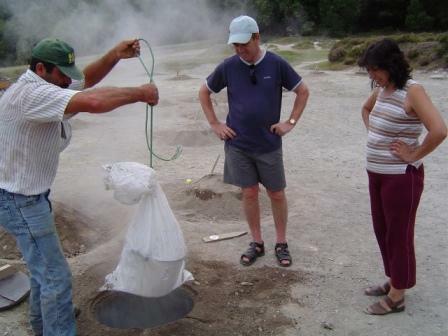 thermal areas) and beautiful geolandscapes, to promote their socio-economic development. 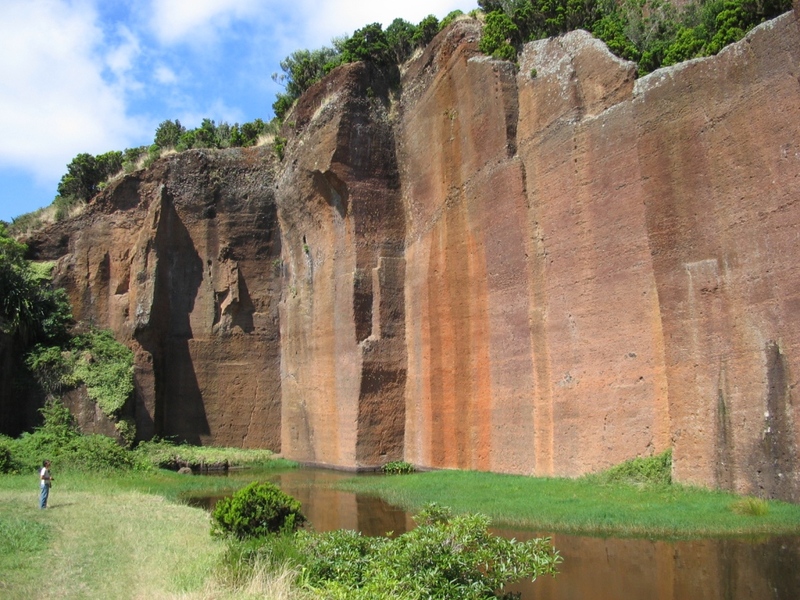 The “geological footprint” can be foreseen either in the regional architecture (use of different ornamental rocks depending on outcrops available), in the food (with the famous “Furnas geo-cook”), and also in the immaterial heritage. 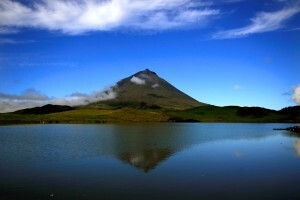 In the later stands out the “Holy Spirit Festivities”, the biggest Azorean testimony of faith, associated with the catastrophic earthquakes and volcanic eruptions that feared the Azorean Man. 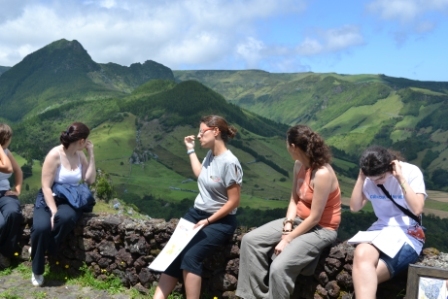 Given the rich ge odiversity of the islands, and also all the values present in the territory, a strategy for implementing geotourism in the Azores was implemented under the umbrella of the Azores Geopark. 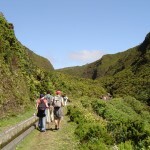 Among others, the following geotouristic routes were established: the Volcanic Caves Route, the Belvederes Route, the Walking Trails Route, the Thermal Route, the Science and Interpretation Centers Route and the Urban Georoutes. 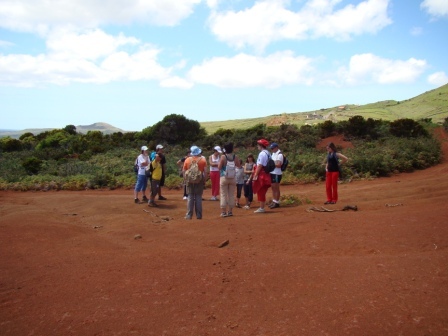 Many of these routes are also valid and important educational approaches and resources to offer to students, the general population and visitors, namely in guided tours. 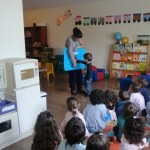 Together with specific educational resources (e.g. 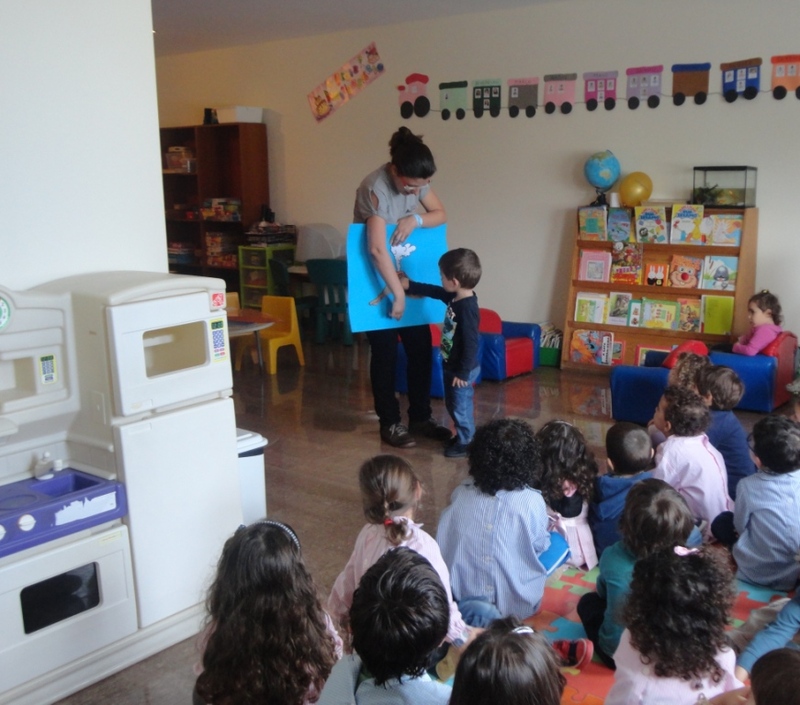 teacher’s guides and children’s items), those products contribute to environmental and geoconservation awareness. The GEOAÇORES Association is a non-profit association, including public and private institutions with local and regional relevance that ensure the management of the Azores Geopark. Besides the General Assembly, the Management Board and the Auditor’s Committee, the General Coordinator and the Scientific Coordinator guarantees the management of the Geopark activities, which are implemented in close cooperation and support with the geopark partners and players on all the islands. 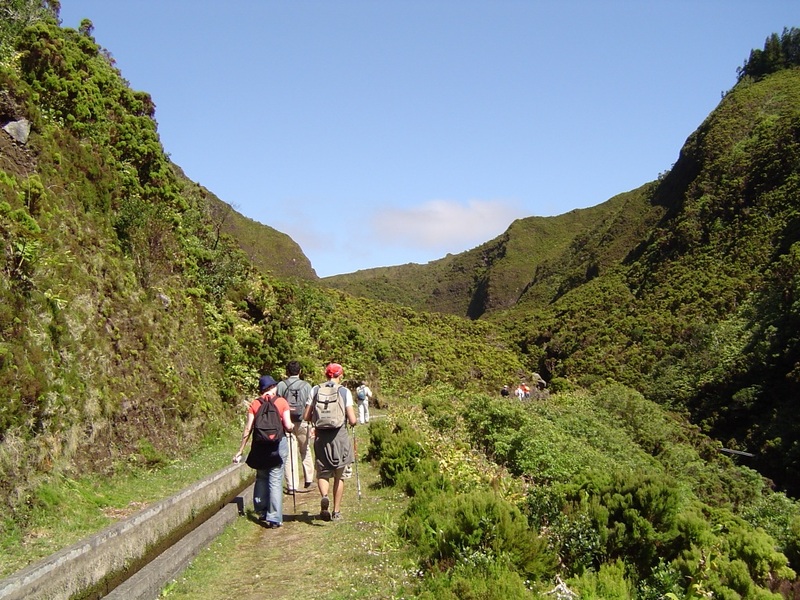 Given the insular nature of the Azores Geopark territory and its discontinuity, the liaison between the Geopark operational staff and each island initiatives is mostly accomplished through the Azores Geopark Islands Delegations. 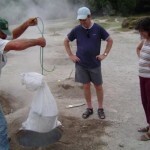 enjoy an eruption … of Flavours, Smells and Experiences!